manufacturer’s recommendations and to meet applicable plumbing codes. all air is released from the lines, then close the tap. and allow water to flow at the drain for 3 or 4 minutes. 3. Remove back cover plate. salt in accordance with the setting instruction sheet. 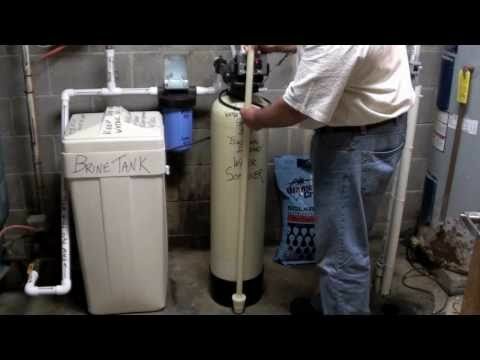 allow the brine tank to fill to the top of the air check. obtain the desired regeneration schedule. 8. Fill the brine tank with salt. 9. Replace back cover on the control.